Here is an excellent documentary from Channel 4′s Dispatches broadcast in 2012 that uncovers some of the ways ticket agencies manage to maximise their profits. See the Channel 4 website for their statement on the fact that the company featured, viagogo, attempted to stop this being broadcast. Since 2009, viagogo has been the official ticket exchange partner for Festival Republic, the organiser of the Reading and Leeds Festivals, Latitude Festival and The Big Chill festival. It has also been a ticket partner for Madonna,Roger Waters, the NME and Aloud.com, Bauer Media Group‘s ticketing partnership. viagogo was the official reselling platform for the 2013 Isle of Wight Festival, the Boyzone BZ20 Anniversary Tour, 2013 Bilbao BBK Live, 2013 XO Belgium, 2013 Benicassim Festival and 2013 Weekend Festival. There is no doubt that there the music companies are themselves complicit with using techniques to maximise demand and raise the income made from ticket sales. Attempts to create a fairer system have caused their own problems (see below) but, of course. ‘a solution’ is only needed because online touting has caused massive rises in prices. The newsreader blames e-bay but as Dispatches has pointed out, there are other contributors to this issue not just e-bay. More recently – Radiohead has attempted an ethical ticket sale policy and Jessie J‘s management made attempts to cut out the secondary resellers but seemed less willing to take on primary agencies (who charge fees) such as Ticketmaster. 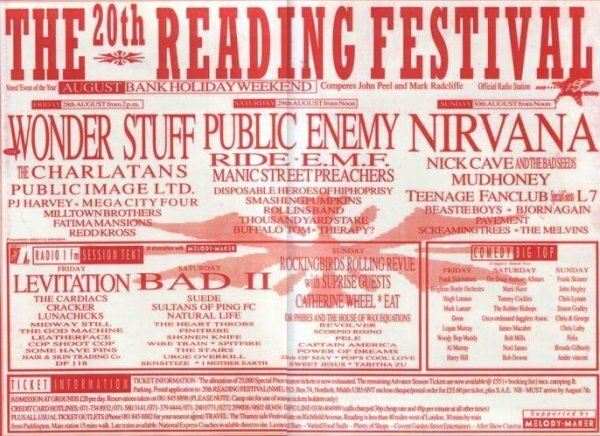 Simpler Times: £55 for the weekend and a quick call got you a ticket… and a phenomenal line-up (announced in advance). There were issues too in the 1990s though. Pearl Jam took Ticketmaster to court (unsuccessfully) over the fees they charged on the sale of tickets. Some bands were tied to exclusive contracts with ticket agencies which meant that their fans had no choice other than to pay the additional fees. Smaller bands were not under these types of contracts and smaller venues often sold tickets (without additional charges) from their own box offices. This is less likely to be possible today as tickets for shows large and small tend to go through an online agency and so buying a ticket at face value is not often possible. It’s not just music of course. Ticket touts are fleecing fans of sport, ballet, classical music, art and many other forms of live events. There is money to be made in being a middle man’. Uber is an US company that acts as an ‘agency’ for booking taxis and, whilst its stock rises, pay and conditions for taxi-drivers decreases and concerns have been made regarding customer safety. The rise of middle-men companies often acts to increase prices for customers and takes a cut from the service provider. The ‘middle-man economy’ is said to be increasing (see below) and can be seen in many different areas of life from taxis and tickets to the way people find jobs. So, when an employment agency finds an employee for a company they are paid commission by the employer (and may take a cut of the employee’s salary too). Here is an explanation of concerns with Uber (from the US). … and here is a report on a recent UK based protest against the lack of regulation which allows the US. The success of Transparent (Amazon) reflects the way contemporary culture appears to be becoming increasingly tolerant towards all types of gender and sexual identification. 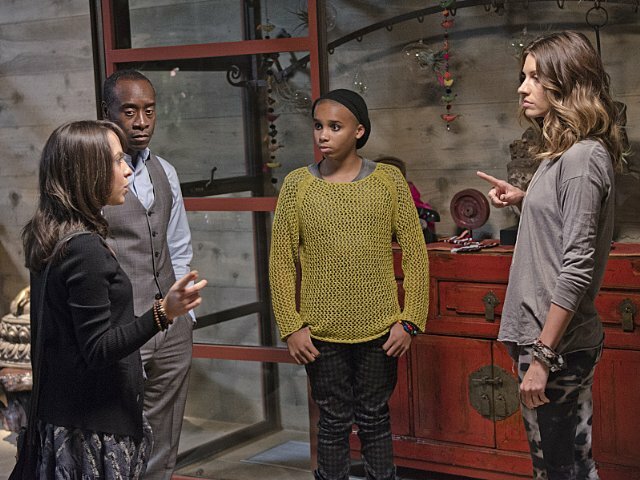 Along with Orange is the New Black, House of Lies and other media representations, the transgender and transexual community are being represented in more positive and, perhaps more importantly, more human ways. There is a lot of research by both academic and political groups that show that the representation of LGBT characters (whilst still being problematic in many media texts) is gradually improving as more variety and less simple stereotyping is coming through. It is worth noting though that diverse sexual and gender identities are more likely to be seen in non mainstream tv programmes/films. But before we get too complacent, Russell Brand identifies the extent that transphobia and bullying is still inherent within tabloid media. 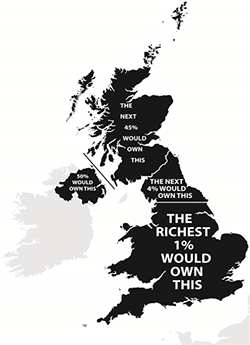 Image from: http://www.geog.ox.ac.uk/news/articles/140204-dorling-inaugural.html where Prof Danny Dorling comments on this issue. Both episodes are available here….